Are you taking advantage of Facebook's free marketing? Have you noticed that many companies are promoting their business pages more so than their websites? This is likely because more Internet users visit Facebook than they do Google, and spending more of their time on social network websites. 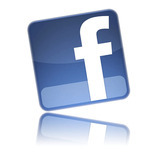 This lends the opportunity for companies to have a secondary website of sorts – on Facebook. A Facebook presence for a company is a viable way to increase branding, brand perception, loyalty and ultimately convert social media followers into customers. All at a relatively low cost compared to other marketing initiatives. Build, Design and help promote a Facebook business page. Manage your social media campaign. Build a highly targeted Facebook cost-per-click campaign. Did you know that more people visit Facebook than they do Google? This means that more people are spending their time on Facebook, than in search engines. There is no better reason to create a Facebook Business page than this. A Facebook Business Page serves as a secondary website and is an excellent way to distribute promotions, news and events as each post is distributed via your fans news feed – potentially distributing your content to thousands of people on Facebook. This results in your messaging being delivered directly to potential customers, rather than having to wait for them to come to your website. Creating a content strategy & plan for your Facebook business page. Creating and designing a branded Facebook business page for your company, keeping lead conversion top of mind. Why Facebook Paid Search? If you have used Google AdWords paid search advertising, you know that it is the perfect medium to capture customers at the exact moment they are looking to buy. But what about capturing them before and after the conversion funnel? Enter Facebook paid search marketing. Facebook advertising has the unique ability to show ads to users whose friends have recently engaged with your Facebook page in their news feeds. These social stories, such as friends becoming fans of your Facebook page, make your ad more interesting and relevant to your target audience. Additionally, Facebook ads also allow advertisers to drive traffic directly to their website, increasing brand awareness. They are also highly targetable towards specific Facebook users based on demographics such as age, gender, location, interests, relationship status and more – something that Google paid search advertising is not able to do. Design and create targeted advertising campaigns in Facebook. Design campaigns to increase brand awareness, group members, job applicants or other business goals. Contact us to find out about more about our other social media services, such as Twitter, LinkedIn & YouTube.